Dr Michael Coroneos Master CIME & Senior Neurosurgeon. commented on "CLINICAL EPONYMOUS ULNAR NERVE SIGNS-COMPLEX BUT IMPORTANT DIAGNOSTICALLY. ..."
CLINICAL EPONYMOUS ULNAR NERVE SIGNS-COMPLEX BUT IMPORTANT DIAGNOSTICALLY. The anatomical aspects of ulnar neuropathy have been dealt with in the previous article. In this article the clinical aspects and the eponymous signs will be discussed , and explained for use in general clinical , and Neurosurgical practice. Early symptoms may include paraesthesiae in the ring and little (medial 4.5 fingers strictly).Aching in the medial elbow with radiation proximally to the neck or distally may also occur and may extend to the ulnar side of the hand as the condition progresses.the onset may be acute and the result of injury. more frequently the onset is gradual and intermittent.As the condition progresses the patient may experience hand weakness , loss of dexterity, pincer grip and sensory changes. Sunderland described the internal topography of the ulnar nerve at the elbow medial EC.The sensory fibres and intrinsic muscle nerve fibres are located superficially.In contrast, the motor fibres to FCU and FDP are located DEEP within the nerve.the central location of these motor fibres explains why weakness of the FCU and FDP is NOT typically seen in ulnar neuroapathy. Proximal compression of a nerve root , as with cervical radiculopathy, may lead to increased vulnerability to nerve compression in the distal segment: the so called " double crush" condition can affect the ulnar nerve , in particular.Mechanical factors compound anatomical narrowing with a combination of shoulder aBduction, elbow flexion, and wrist extension resulting in the greatest increase in cubital tunnel pressure, with intraneuaral pressure increasing to about 6 times normal, affecting circulation which is in a 'step ladder ' fashion in the ulnar nerve with poor anastamoses between the 3 major arterial supplies.With full ROM of the elbow, the ulnar nerve undergoes 9-10 mm of longitudinal excursion proximal to the medial EC and 3-6 mm of excursion distal to the medial EC. In addition, the ulnar nerve elongates 5-8 mm with elbow flexion.With the elbow flexed at 130 degrees , the mean intraneural pressure is 45% higher than the mean extra-neural pressure.At this amount of flexion , significant flattening of the nerve occurs; however, with full elbow flexion , no evidence of direct focal compression, suggesting that traction on the nerve in association with elbow flexion is responsible for the increased intramural pressures.45 degrees elbow flexion is regarded as the optimum angle to decrease pressure on the ulnar nerve. There will be loss of hypothenar muscles , interossei, adductor pollicis and deep half of FPB.Some intrinsic mm function MAY be preserved in low ulnar lesions due to the Martin Gruber communication between AIN and ulnar nerve.There will be 50-80% pinch strength,50% loss of grip strength,loss of lateral deviation of fingers,and loss of integration betweenPIP and MP J flexion. (i) FROMENT'S SIGN: ( Jules Froment)Patient is asked to hold a piece of paper , or book, between the thumb and index finger (pinch grip). The examiner attempts to pull the paper out and a normal individual will be able to maintain a hold on the paper without difficulty.With ulnar neuropathy, the patient will display difficulty and compensate by flexing the FPL of the thumb and this manifests as FLEXION of the thumb IP joint(rather than extension, as would occur with the correct input of the adductor pollicis).The compensation of the weak pinch grip with the tips of the thumb and index finger results in the thumb flexing at the IP joint, as the FPL is innervated by the anterior interosseous branch of the median nerve.AKA the 'book test'.O-sign on trying to hold a book between 1&2.Test for adductor pollicis.The 1st DI can be tested by inability to adduct, and wasting1/2 space. (ii) Jeanne's Sign: In addition to the above, hyper-extension of the thumb MCP occurs-this is the sign along with Froment's findings of weak pinch and flexion of thumb IP-so-called O-sign. on attempting to hold paper with pinch from examiner pulling it away. (iii) Crossed finger test: inability to cross the middle over the the index finger (III over II) is a sign of ulnar nerve dysfunction, particularly useful in children(EarleAS et Vlastou C. J Hand Surg Am.1980 Nov;5 (6): 560-5-Children understand this as a sign of good luck! (iv) Wartenberg's Sign: Patient is asked to keep fingers adDucted with MP, PIPand DIP jointsf ully extended.In ulnar dysfunction , the 5 th finger deviates away from the ring finger because the 3rd palmar interosseous muscle does not function and the extensor digiti quniti muscle aBducts the 5th finger..Due to unopposed ULNAR insertion of extensor digit quint, the 5th finger is more often more clawed, as oppose to the ring finger, because of inherent increased laxity in the 5th finger MP joint volar plate.In addition, some 50% have median cross innervation to ring finger lumbricales, thus minimising ring finger clawing. (vi) Fasiculation and wasting of 1st dorsal interosseous muscle in ray I/II webspace. (ix)Semmes-Weinstein sensory filament testing loss in ulnar nerve distribution; at in ulnar 1/2 of palm and dorsum of hand, and medial 1.5 digits on both palmar & dorsal aspects; at above BUT with DORSAL sparing of sensation of BOTH medial 1.5 digits AND hand (with loss of palm).The dorsal aspect of the hand is NOT affected as the posterior aspect of the hand(not palm) is UNAFFECTED as the posterior cutaneous branch of the ulnar nerve is given off higher up in the forearm and does not reach the wrist. (x) Bouvier Manoeuvre:hyperextension of the MP joint of 4&5 is surgically corrected,the flexion capacity at PIP and DIP is reduced. (xi)Andre-Thomas Sign::an effort to extend the fingers after tenodesing the extensor tendons with attempted wrist palmar flexion ,only increases the claw deformity. (xii)The Piters-Testut Sign:the patient is asked to place the hand flat on a table and hyper-extend the long finger upward and to deviate it BOTH radially and ulnarly-inability reflects paralysis of 2nd and 3rd interosseous mucles. (xiii)Egawa Test; patient is unable to aBduct the middle finger sideways due to paralysis of dorsal interossei abductors. (Remember: palmar interossei aDduct and dorsal interossei abduct: Mneminic PAD DAB !). (xiv)The Card Test:patient is unable to hold a piece of paper between the extended of palmar interossei(ADducors in extended finger position). ) Lumbricales be individually isolated fot testing clinically). .In summary with SENSORY LOSS: (i) at the of sensation in ulnar1/2 of the palm and dorsum of hand, and the medial 1.5 fingers on both palmar and dorsal aspects of the hand; (ii) At the wrist (e.g.stab wound, Guyon canal cyst): Loss of sensation in ulnar half of the palm, and the medial 1.5 digits on the palmar surface of the hand, with dorsal sparing.The dorsal aspect of the hand is unaffected as the posterior cutaneous branch of the ulnar nerve is given off higher up in the forearm and does NOT reach the wrist. Ulnar nerve clinical testing is indeed complex and requires a thorough neuro-anatomical knowledge.Again, electro-physiology (and perhaps MRI) again is CRITICAL. A senior and experienced Neurosurgeon will be apt in assessing such cases. HONORARY ADJUNCT ASSISTANT PROFESSOR AT BOND UNIVERSITY MEDICAL SCHOOL, ROBINA, QLD. For excellent patient focussed & experienced care. National Health& Medical Research Council-valuable resource including pain management guidelines. Medtronics- Pain Specialists in Qld finder link. Dr Michael Coroneos IS Brisbane Neurosurgeon ! 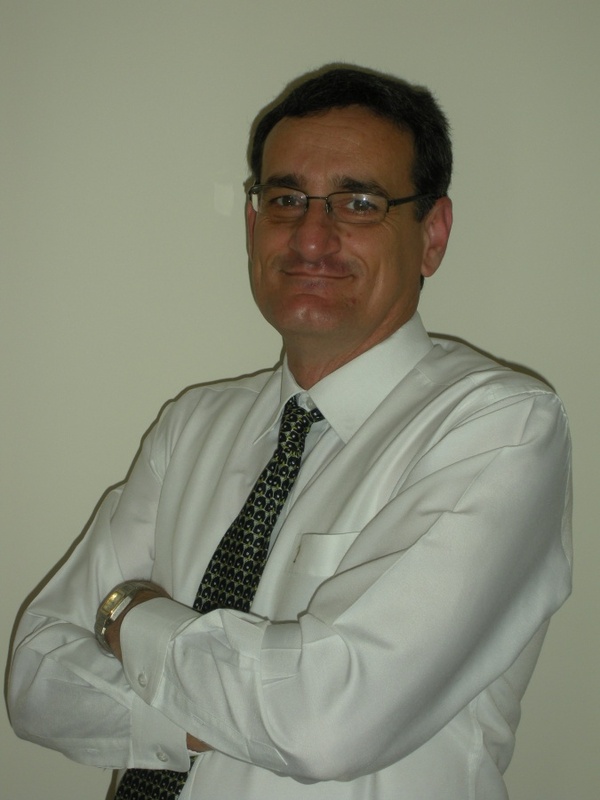 Brisbane Neurosurgeon IS Dr Michael Coroneos ! Royal College of Surgeons of Edinburgh. Royal Australasian College of Surgeons.